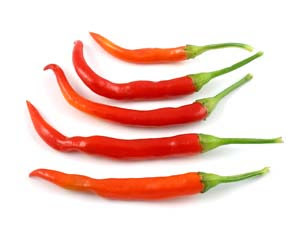 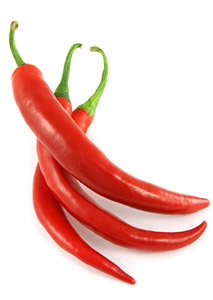 Cayenne Pepper, also known as the Guinea spice, cow horn pepper, Aleva, bird pepper or, especially in its powdered form, red pepper-is a hot pepper used to flavor dishes. 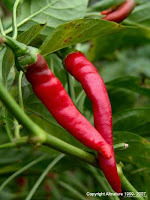 It is red when mature to adulthood, but also eaten while still green. Named for the city of Cayenne in French Guiana, which is a variety of Capsicum annuum related to bell peppers, jalapeños, and others. 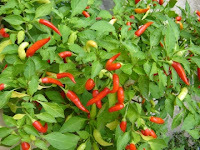 The genus Capsicum is in the nightshade family (Solanaceae).